Here at the University of Missouri we work closely with numerous local agricultural producers to provide the best, freshest product we can for our customers. Toss the shrimp with the olive oil and Cajun seasoning to thoroughly coat. Place shrimp on a pre-heated char-grill and cook for 1-2 minutes. Flip over and continue cooking for another 1-2 minutes or until the shrimp are just cooked through. Serve immediately over Boursin grits, top with Andouille cream, and garnish with green onions. Place the milk, butter, and salt in a medium saucepan and bring to a simmer over medium heat. Turn heat to low and slowly whisk in the grits. 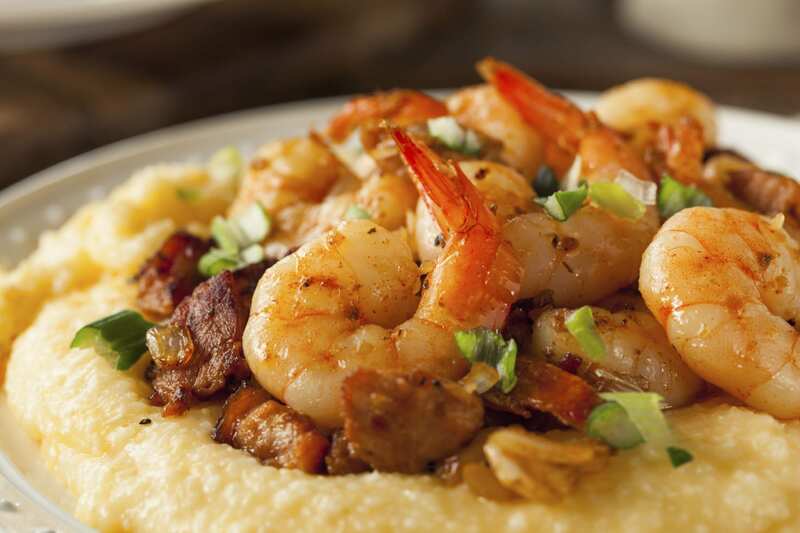 Cook the grits over low heat for 25-30 minutes, stirring frequently, until the grits are tender. Remove from the heat and stir in the Boursin cheese until melted and the mixture is smooth. Heat the andouille sausage in a medium saucepan over medium heat for 3-4 minutes to render some of the fat. Add the shallots, increase the heat to high, and cook for 2-3 minutes or until the shallots are soft and the sausage is just beginning to brown. Add the white wine and bring to a simmer. Reduce until almost dry. Add the heavy cream, bring it to a boil, then turn the heat to low and simmer until reduced by half.